The SoloRake is a unique, double headed grooming rake. As you comb a horse’s mane or tail, the rake easily removes hair. They are ideal for shaping, finishing, thinning and creating a hand stripped look. Perfect for removing winter coats fast and painlessly. 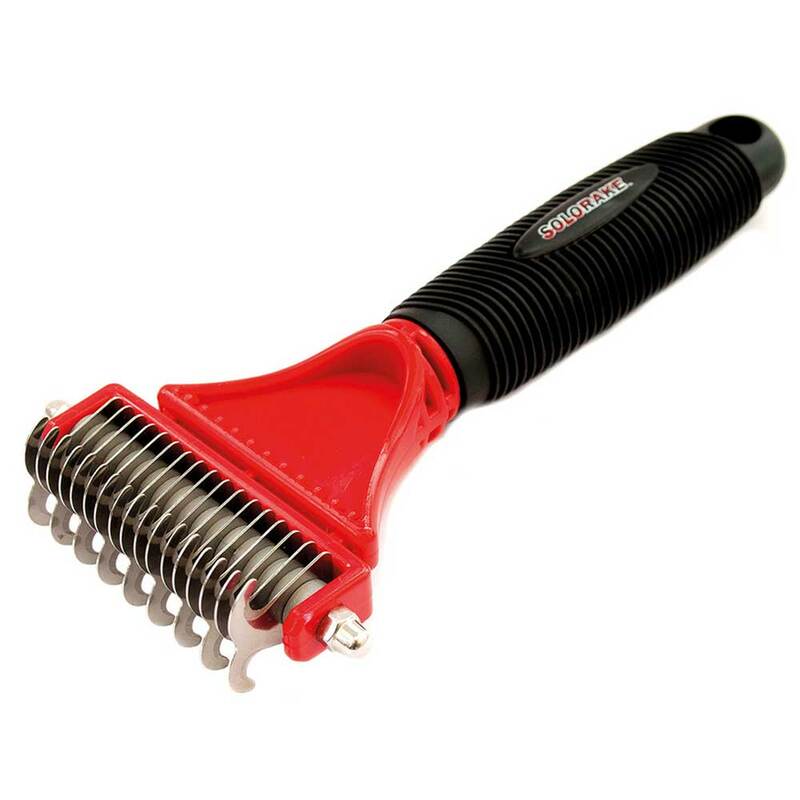 Rounded tooth combs lift the coat evenly for clipping, removing tangles and any dead undercoat. The double heads allow a great degree of finish to your raking – without the fuss or cost of 2 products.